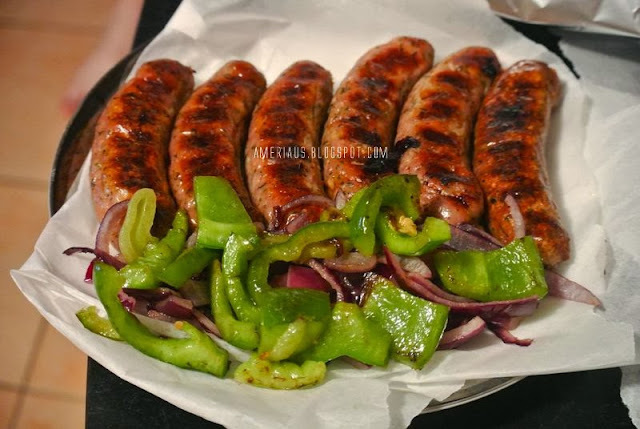 I love a heap of caramelized onion on top of my sausages and for tonights dinner I even decided to add some sauteed bell pepper. I cooked my sausages on our George Forman, so I could get those nice grill marks but more importantly its a healthier way of cooking them. All of the fat just rolls off and leaves you with a perfectly cooked meal. Luckily, we had some leftovers! 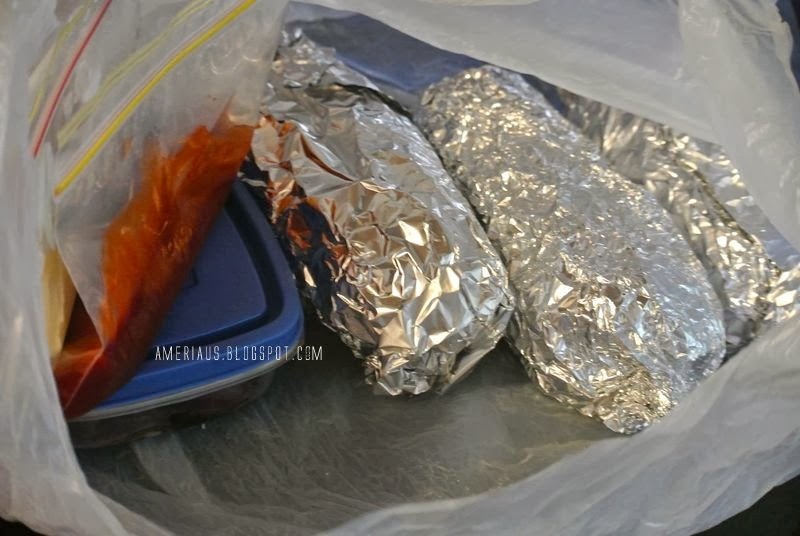 So I sliced open some buns, tucked in the sausages and wrapped them in foil for his lunch. I also put some bell pepper and onion in a plastic container, and some sauces in a zip lock bag. Luckily, we got everything done! And I got granted my bridging visa! So I'm on the road to residency here in Australia and most importantly I get to stay with my love. Ever since we got my bridging we have been sleeping very well, haha. The stress had kept us tossing and turning all night. Since it was granted we have been getting coma-like sleep, which I am also thankful for. We had a few drinks the night after the grant to celebrate and are planning a romantic getaway when I get my residency! So, I'm thankful for a lot this week. What are you thankful for this week? 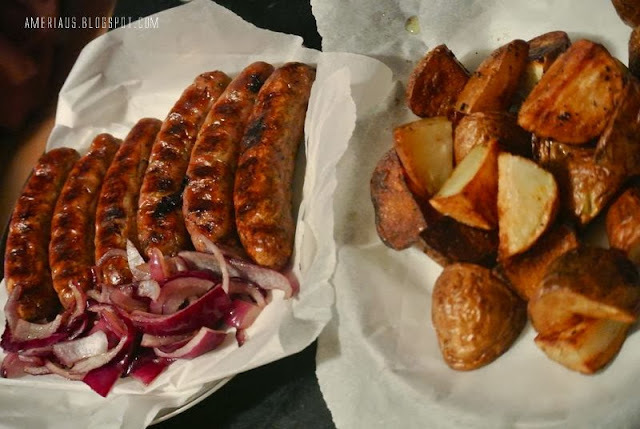 What sides do you think compliment sausages? Share your recipes! Oh, and I'm also thankful for BatDad..